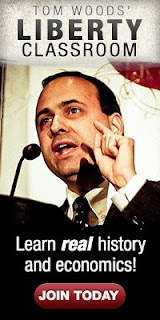 Some very important observations from the paleo-conservative Paul Gottfried. The great Paul Gottfried. At the end, he touches on the issue of borders and the enforcement of same. Closer to Bionic and Hoppe (and myself). So this is an issue where RW and I disagree somewhat or maybe it's just a matter of emphasis. 1. Having lived in California for many years, I realize that the State of California could not function without immigrant labor from the South, legal and illegal. 2. I have lived for many years in countries where I am not allowed to work because I am a "foreigner". 4.As I understand it, Hoppe's vision is of a Private Property society where individual property owners can decide who is welcome from abroad and who isn't. You better reread Hoppe and me, that is not his position. It is mine. That's kinda what I was saying. But I think that Hoppe is close to that? I'll dig through it and let you know what I find. 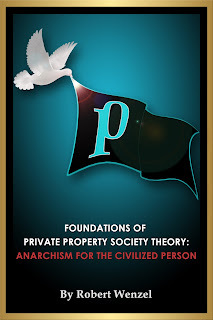 My understanding is that, while Hoppe, Bionic, and their followers believe that private-property owners should be entitled to manage their own borders (and, among so-called "thin" libertarians, that's not a controversial position), they also believe that, while we have a state, the state should manage the borders of public property to promote their cultural version of society which they believe would best accommodate libertarianism (which is where the internal squabbling starts among "thin" libertarians). Yeah, you need to do more reading also.